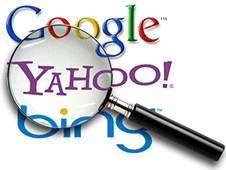 We submit each of your Rental Ads directly to Google, Bing, and Yahoo Search Engines. Which account for 93% of all online searches. Your Rental Ad comes up in any search results with the same features and amenities. We also publish your Rental Ad at the top of 36 special web pages we have optimized in each of these three search engine’s search results. Each of our webpages are specifically selected based upon your Rental Ad’s features and amenities. When you select our Social Media Ad Package Option, we advertise your Rental Ad across 16 more of our webpages hosted on each popular social media website as follows: Blogger, Diigo, Delicious, Facebook, Google+, Instapaper, LinkedIn, LiveJournal, Plurk, Pinterest, StumbleUpon, Tumblr, Twitter, WordPress, YouTube. 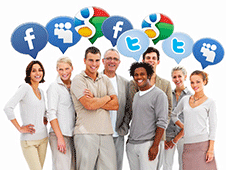 We advertise up to 90 times about your Rental Ad across these social media websites. We also use hashtags used by Renters who are looking for a place like yours. Giving Renters even more ways to find your Rental Ad. Before you even submit your Rental Ads, we have a very large database of Renters who are looking for a place just like yours to rent. We collect Renters through our service called, “Find My Place.” Whenever a Renter is doing any type of search on our website, they are given the opportunity to have us record their search request, along with their name and email address. When your new Rental Ad is published, our “Find My Place” Service contacts each Renter who had made a search request, matching the description and features of your place for rent. This brings even more Renters to see your new Rental Ad right from the start.